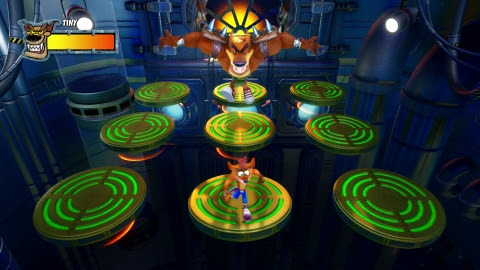 SANTA MONICA, Calif.–(BUSINESS WIRE)– Fans asked, and Activision, a wholly owned subsidiary of Activision Blizzard, Inc. (NASDAQ: ATVI), answered by bringing the Crash Bandicoot™ N. Sane Trilogy to all major gaming platforms. Already available on PlayStation® 4, Crash fans worldwide can experience the beloved ‘90s videogame icon like never before when everyone’s favorite marsupial arrives on Nintendo Switch™, Xbox One and Steam® on July 10, 2018. 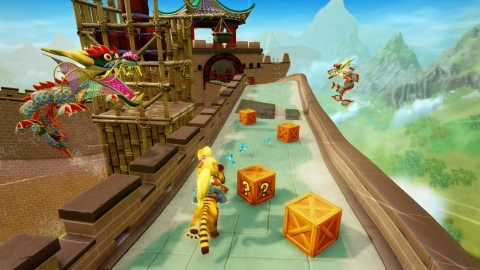 The arrival of the Crash Bandicoot N. Sane Trilogy on new platforms this summer marks the first time that the original three games – Crash Bandicoot™, Crash Bandicoot™ 2: Cortex Strikes Back, and Crash Bandicoot™ 3: Warped – will be playable on Nintendo, Xbox and PC. The Crash Bandicoot N. Sane Trilogy is available now for pre-orders on all new platforms. The Crash Bandicoot N. Sane Trilogy is available now on PlayStation 4 for the suggested retail price of $39.99. Fans can pre-order the Crash Bandicoot N. Sane Trilogy for all new platforms now for the same suggested retail price. For more information about the Crash Bandicoot N. Sane Trilogy follow @CrashBandicoot on Twitter, Facebook and Instagram, and watch the latest trailer on our official channel.